Details/Policies - NJ family photographer | maternity and newborn photography in Philadelphia, Cherry Hill, Moorestown, Cinnaminson, and NY. Feel free to take a look at my website to get more information on my style, pricing and the type of photography that I offer. Prior to booking, you will need to complete an online agreement, which details Saje policies, practices and copy write information. Most of my sessions, if the weather is comfortable, will take place outdoors at an agreed upon location, however, they can also be done in my studio. If the weather is too hot or cold we can have play time inside in your home. Capturing you in your own environment, known as, Lifestyle Portraits, is an awesome option to consider. My Studio is located in Merchantville NJ- about 5 min. from the Cherry Hill Mall. My passion for newborn photography stems from a desire to provide every new parent with the opportunity to document their newborn's first few days as well as turning images of their precious baby into fine art. They can last at least 2-3 hours and, depending on the baby's disposition, may take up to 5 hours. Multiple newborns may take even longer. Please reserve the entire day for your photography session. Includes a mini maternity session usually done between 32-35 weeks of pregnancy. Please contact me to schedule your maternity session. This can be done in studio or on location. Your newborn session is done with in the first 10 days of the babies life and can last at least 2-3 hours depending on the baby's disposition. Once your session is booked you would call me the day the baby is born to schedule a date and time. After several inquiries, I have decided to put together a Baby's First Year Photo Package. The first year package will include three sittings: newborn, 6-9 months, and one year. The cost is $500 and is due at the newborn session. This is Non Refundable. The best time to photograph a newborn is 4-10 days old. The sooner the better. As a baby gets older they become less sleepy, less bendy and if they are going to develop baby acne or colic it usually happens around two weeks old. 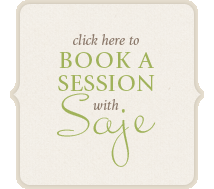 You can schedule your newborn session at any time during your pregnancy. Preferably at least a few months before the baby is born. Once you are on my schedule, I try to be very flexible in scheduling. Please call as soon as your baby is born, as these sessions are time sensitive. This session can vary from baby to baby. I suggest bringing them in when they are sitting up unassisted. Babies at this age are usually very happy and smiley and have yet to develop a lot of stranger danger. Please call as soon as your child is sitting up unassisted so we can schedule he/she for her 6 month session. This session is alway a rite of passage. Babies at this age can be challenging, but have so much personality. I doing 1 yr old photos because usually with mom's help we can do a cake smashing session at the end of the session. Please call us 3-4 weeks prior to book for your 1 yr old session. Please Note the last session can not take place no later then 14 months. All Session Fees are non refundable. One of the most frequent questions I get asked is, "What should we wear?" And it's a good one! Clothing can make a huge difference in the outcome of your photos. In order to create interest in your family images it is important to coordinate outfits without everyone wearing the same thing. You can do this easily by adding layers, textures (denim, tweed, ruffles) and accessories! Try to avoid white, and stay away from any clothing with written logos. We want you to be the focus, not a designer! Oh and for babies, They are perfect the way the came into the world...if you know what I mean! REST...Getting a good nights rest the night before, it will reflect on your face, your overall appearance and your attitude. By ensuring that everyone is well rested and well fed will make for a nice relaxing session! If your child is comfortable and relaxed, the distractions of a portrait session won't stress them out, and in turn won't stress you out. If a child is not feeling well, it's better to reschedule. Sessions can typically last anywhere from 1 hour to 2 hrs. Feel free to bring water or clear juices/soda and a treat like a hard candy or something that isn't messy. Favorite toys to play with are always good. I usually suggest a outfit change just in case. Leave the rest to me! is due in full to reserve your session date and is nonrefundable. This includes all packages- Bellies to Babies and Baby First Year packages. The session fee includes a pre-session consultation (by phone or at the studio,) my time and talent in capturing and preparing your images, an online ordering gallery for four days, and an optional in studio ordering appointment. We have a current min. ordering of $400 and is due at the end of your 4 day period that you have selected. The session fee does not includes print, products or digital files, which are purchased separately. If you choose an online ordering gallery, your images will remain online for four days. Please place your order during this four day period. After your gallery expires, there is a $35 fee to rehost your gallery for two additional days and after 14 days your images are purged and any other sessions are voided out with out a refund. All credits, specials, coupons, etc expire when your initial four day hosting period expires and can not be used with out your min. order being met. Please note we do NOT sell RAW Images.. According to U.S. Copyright Law, October 2007, Saje Photography retains copyright on all images (including those on CD) and reserves the right to use the images and/or reproductions for display, publications, or other marketing purposes. Under no circumstances can a client use these images for profit, commercial endeavors, in competitions, or for professional display without a signed consent by photographer. I hereby consent without further consideration, that all photographs taken from this session by Amy Ortiz and/or Saje Photography may be used and reproduced in printed and online publications for the purpose of marketing, promotions, advertising, and competitions. Unless otherwise stated in writing. You agree to hold the Photographer blameless in the event of a mishap or accident during our photography session. Furthermore, the Photographer is not responsible for supervision of minors, that is parental responsibility, and as such we agree that the Photographer is not responsible for any accidents during a photo shoot, and has no financial responsibility if incident does occur. If the Photographer cannot perform this Contract due to fire or other casualty, strike, act of God, or other cause beyond the control of the parties, or due to Photographer's illness or emergency, then the Photographer shall return the session fee to the Client, but shall have no further liability. This limitation on liability shall also apply in the event that photographic materials are damaged in processing, lost through camera or media malfunction, lost in the mail, or otherwise lost or damaged without fault on the part of the Photographer. Please note: Session Fees do not include any products. Prints & products are purchased separately. All Session Fees are non refundable, non transferable. Additionally, there is a $400 minimum print or product purchase for each session. Orders are only placed once payment is received in full. Once your order is placed, please allow 2-3 weeks for order to arrive. Please note, during peak season, turn around times could be approximately 3-6 weeks. Canvas and storyboards can take 8-10 weeks. Payment can be made through PayPal, check or Cash. Orders will not be placed until payment is received in full. All payments received by check are not placed till checks clear the bank. A new session cannot be scheduled until the ordering and payment is complete on a past session. All unordered images may be purged within 14 days of session. All ordered images are saved for 30 days. There is a 7% Sales Taxes included in all orders. Due to the nature of the product once your order is placed on your images there are NO REFUNDS. Approximately 2-3 weeks after your session, you will receive an email from me to schedule your in home order. In addition to the in home order, a password protected gallery will be available to view and share with your family and friends. The gallery will be available for viewing for 4 days, at that time, your order is to be placed. Any unordered images at this time will be immediately purged within 14 days of your session. If an appointment is cancelled (the first time), the client has up to 1 month to reschedule or they risk loosing the deposit. If the 2nd appointment time that was made is cancelled for any reason the client will loose the FULL deposit made. If a client cancels more than twice, the photographer reserves the right to not make any further appointments and the client forfeits your FULL deposit.